The time has come to present more vehicles of the upcoming British Ground Forces lineup! 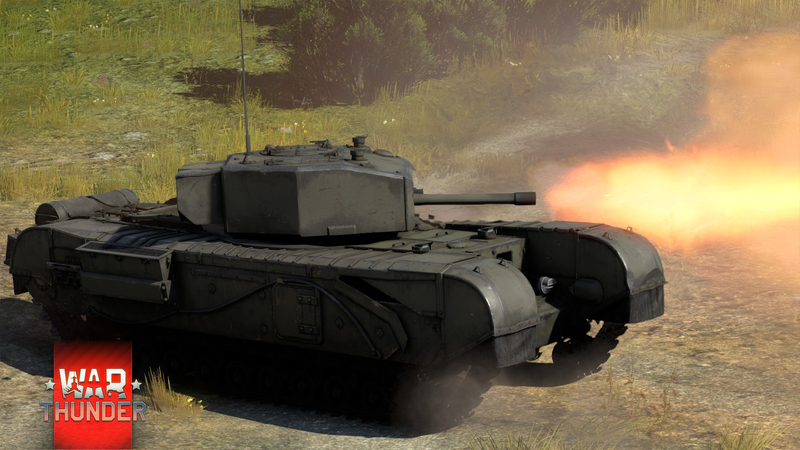 And which tank could be more suited to start with than the legendary Churchill infantry tank? There will be multiple variants of the Churchill available in game. Let's have a look! 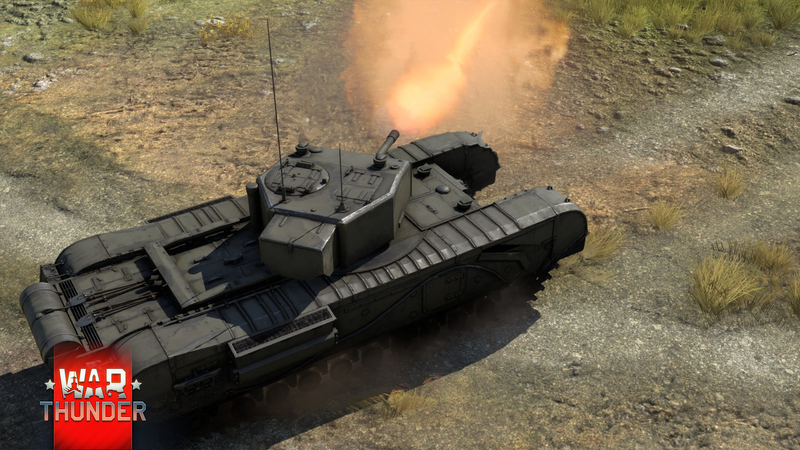 The “Churchill” was a legendary British infantry tank. 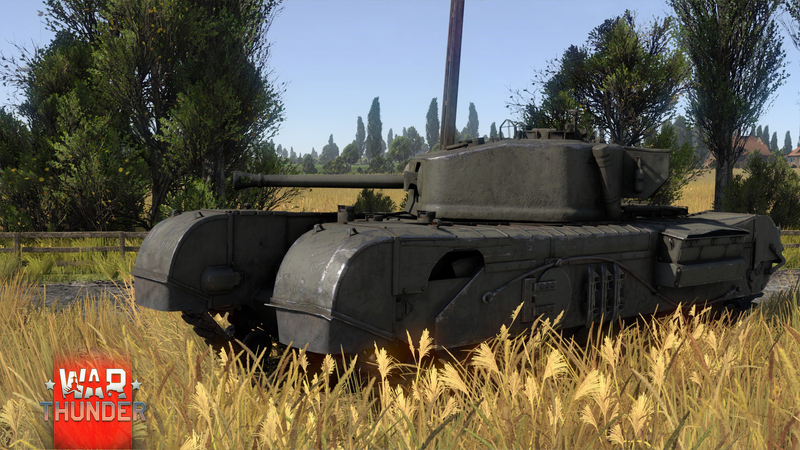 Thanks to its good design and impressive armour that was upgraded during further modernization, “Churchills” were successful when fighting on various battle theatres of WW2 and even took part in the battle of Kursk and in the Korean War. The tank had a very low speed but great armouring. The Mk.III was armed with a 6 pndr cannon (57mm) that was not powerful enough to fight enemy armoured vehicles at large and medium distances efficiently. 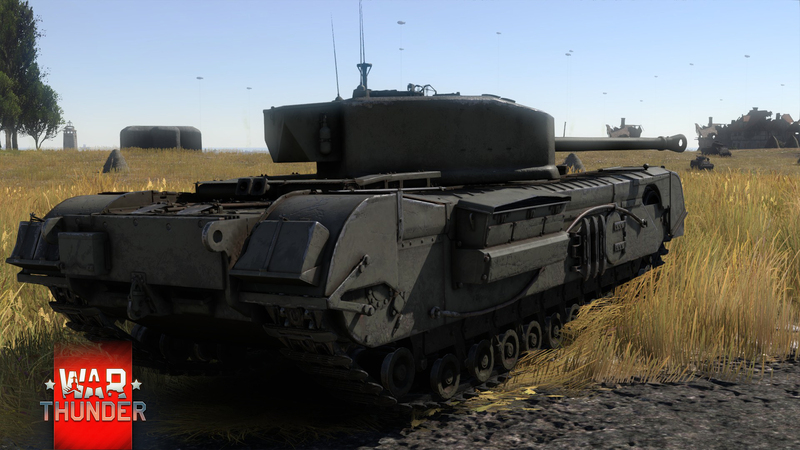 But a player driving a “Churchill” would be better to use other tactics: close in on the enemy and attack from short distance, also trying to cover the allies with its massive hull where there is such an opportunity. In 1944, the Churchill Mk.VII was entered into mass production. This modification was`the most produced of the “Churchill” tanks. 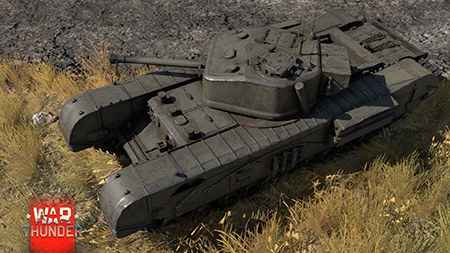 The tank hull had been significantly reworked and the armouring was increased. It was the most heavily armoured Churchill tank: it had 152mm of armour at the front which is over 30% more than its main rivals - the Tigers H1 or E - had. In most situations it will take a lot of effort for a Tiger to penetrate this Churchill from the front making the British tank invincible against German guns more often than not. The turret construction was also changed. An increase of the armour thickness resulted in an increased mass of the tank which in its turn affected its mobility, decreasing it. Also this vehicle received a 75 mm gun that was capable of destroying German medium tanks. As for battle tactics, this Churchill is similar to the Churchill Mk.III. You just push through enemy defences along with your allies, using your great armouring and decent armament. But remember that solo play is not a strong point whilst driving this tank - you will need allies to cover you from the sudden attacks from the sides or from the rear. 1. Will all the Churchill series have neutral steering as they were fit with a Merrit-Brown transmission that allowed it to pivot on the spot like the Tiger or Panther with neutral steer? Answer: Yes, we will implement this feature. 2. What engine power will Churchill mk.III have? 3. What ammo type will they have? Answer: Various solid shot rounds. 4. 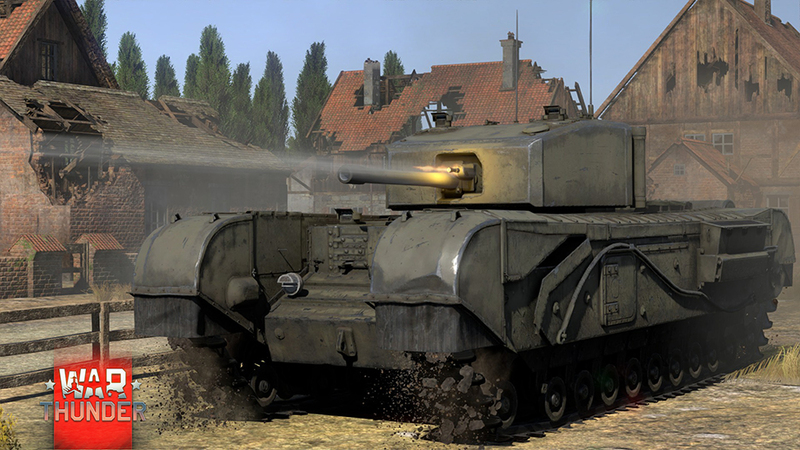 Will you be adding the Churchill Mk I. It had a 2pdr gun in the turret and a 75mm howitzer in the hull? Answer: Yes, it is possible in the future but not in the nearest patch. 5. What rank will they have? Answer: Most likely late 2nd, with Mk.7 being early 3rd. or vice versa, I would say the will be placed somewhat similar to KV-1 L-11 and KV-1 ZiS-5 in the Soviet tree. 6. 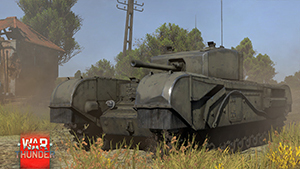 Will any of these Churchill's be a premium vehicle in the British tree? Answer: No, they are researchable tanks in the main tree. One of them may probably be added as a premium for Soviet tree, but not in the nearest update. 7. I saw that there's no Besa MG in Churchill VII's turret. Will it be added later?